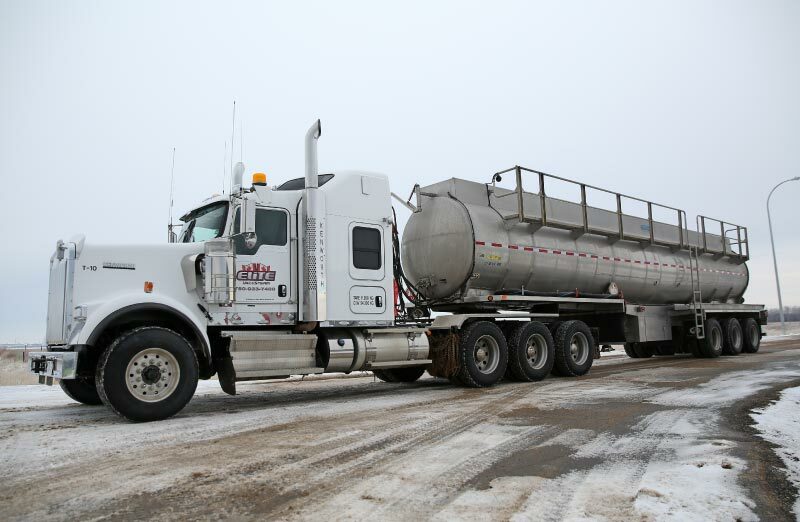 Our Tank Truck Operators are fully trained, and have many years of experience in the fluid hauling industry. With their knowledge, well-maintained equipment, and good communication, the job will be done with pride, punctuality, and customer satisfaction. Our fleet includes a wide variety of truck and trailer configurations to handle any size of job. Elite Vac & Steam has the equipment to satisfy all of your fluid hauling needs. We like our equipment to be state of the art and well maintained. At Elite Vac & Steam, we rig up our units with high-capacity pumps, capable of handling almost any job. In house mechanics and highly trained operators keep each piece of equipment clean and in impeccable condition, ready to serve you better. At Elite Vac & Steam, we carry both code and non-code tank units, allowing us to haul dangerous goods. Stainless steel tanks give us the capability to haul acids and/or any corrosive fluid. Our tank trunks have high capacities to haul your water and dangerous fluids in Grande Prairie and Northern Alberta. Based in Grande Prairie, our service area stretches to the Peace Region and beyond. Call us today for access to our full vacuum and steam fleet, manned by professionals. Interested in Tank Truck Fluid Hauling Services?